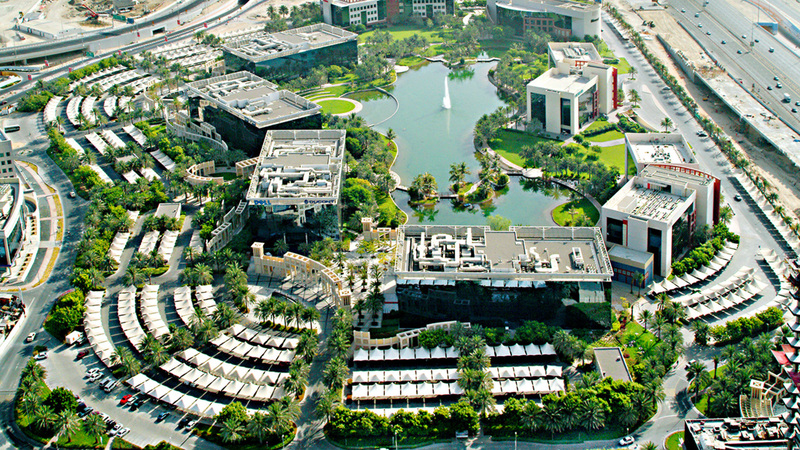 A landmark office park for the world’s biggest technology companies. 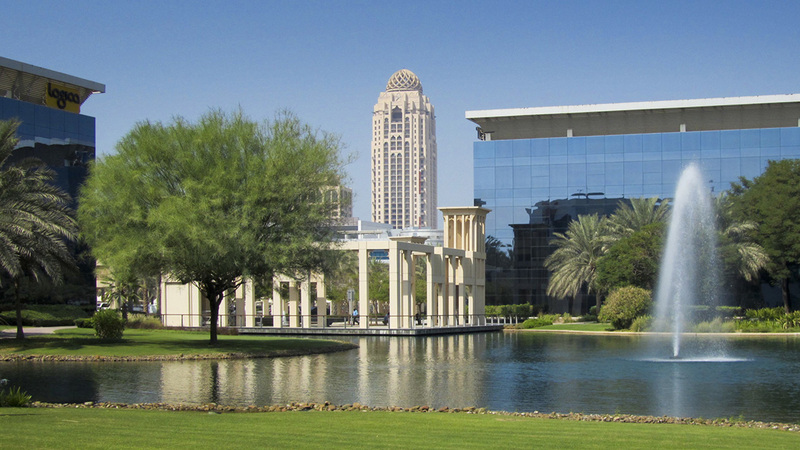 Dubai Internet City set the standard for thriving office parks when it opened in 2000, setting a high benchmark beautiful spaces that offer calm and tranquil integrated working environments. 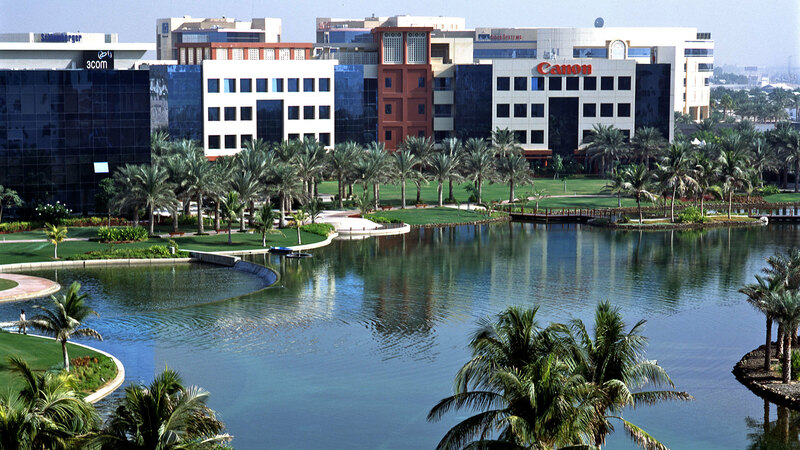 Since then, DIC has attracted the regional headquarters for some of the world’s biggest tech companies, including Microsoft, Google, Facebook, and IBM. 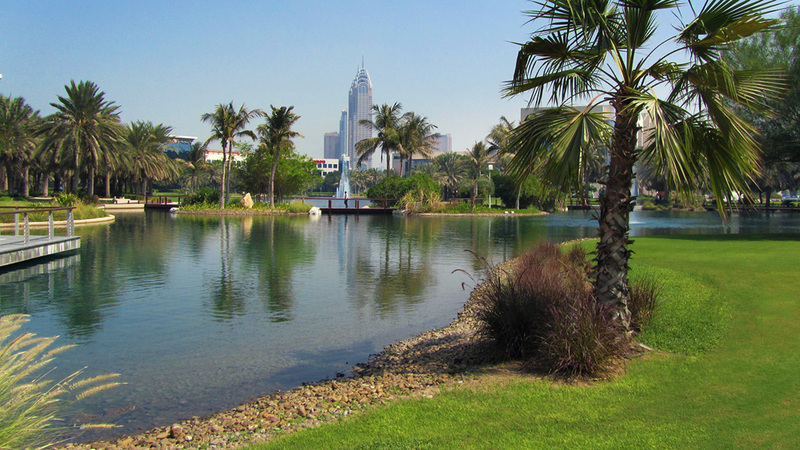 The focal point for DIC’s landscaping is a large central lake with cascade walls, surrounded by a lakeside promenade linking various buildings. 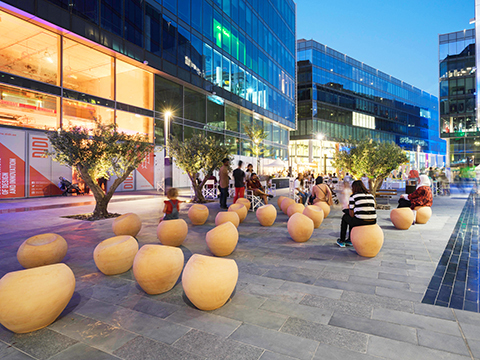 Diverse shaded outdoor seating areas are interspersed with formal piazzas and water features. 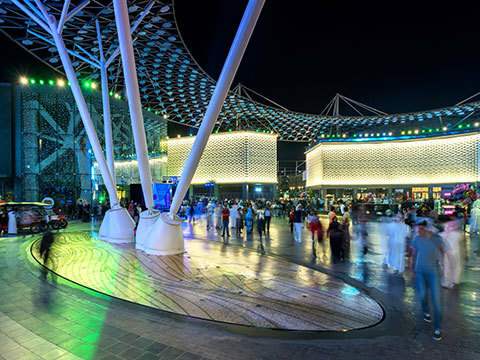 Cleverly designed to be flexible enough to be a decorative piece as well as programmable space, an amphitheatre on the water’s edge serves as a venue for functions and events.